We took a break for a few days to get everything in order, but PSA is back with a new look. We’re really exited to finally launch the new site. We’ve improved on things from the old layout, the Events sidebar is now expanded and more functional, submitting content is easier, including pictures, and we’ve revived an old function of PSA that had disappeared for a few years: a list of links to recent mainstream news articles that are relevant to anarchists in our region. We’ve also added a new Zine Library section to help strengthen our memories of past struggles and sharpen them into weapons. In the next few months we’ll be working to post more original content and add more zines from the Pacific Northwest into our zine library. In order to do that we rely on submissions. If you have analysis, reportbacks, events, or communiques, please send them our way! 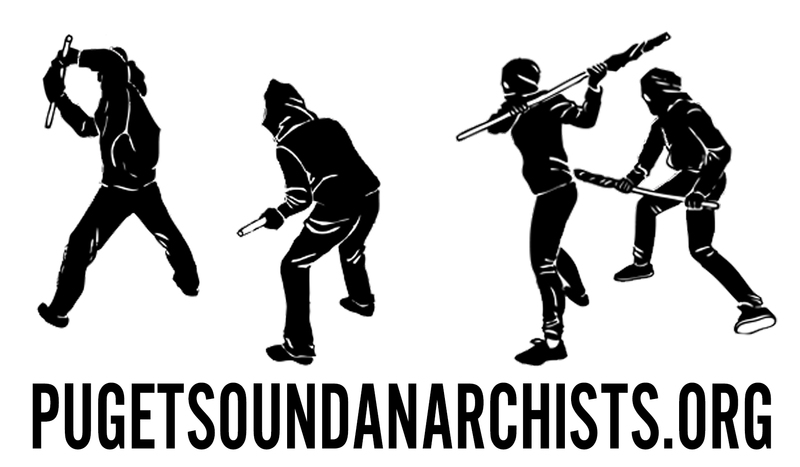 If you have a file for zine written by anarchists or anti-authoritarians in the Northwest that you don’t see in our zine library, please send it to us! In the coming months, we hope to be continue to be valuable source of information and analysis from an anti-authoritarian and anti-capitalist perspective. In this moment, as the right and state forces collude to lash out against the excluded, sharing stories, analysis, and critique of rebellion and resistance is ever more crucial. Let us know what’s up!